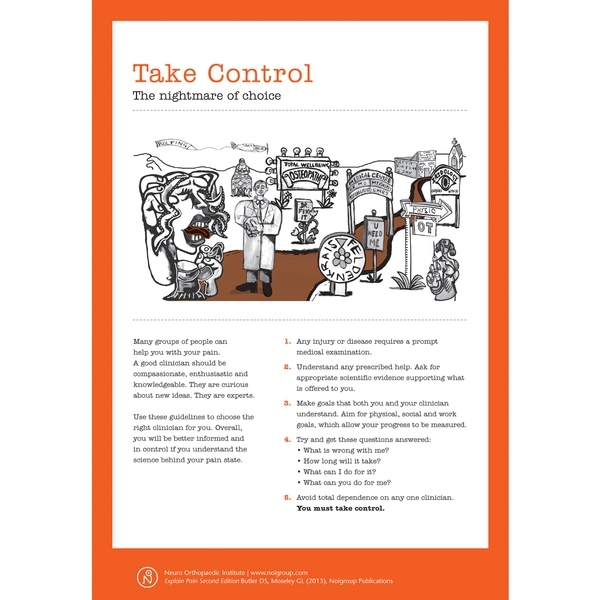 Reinforcing Butler and Moseley's best-selling Explain Pain book, these posters are perfect for clinics, pain groups or as constant support at home. 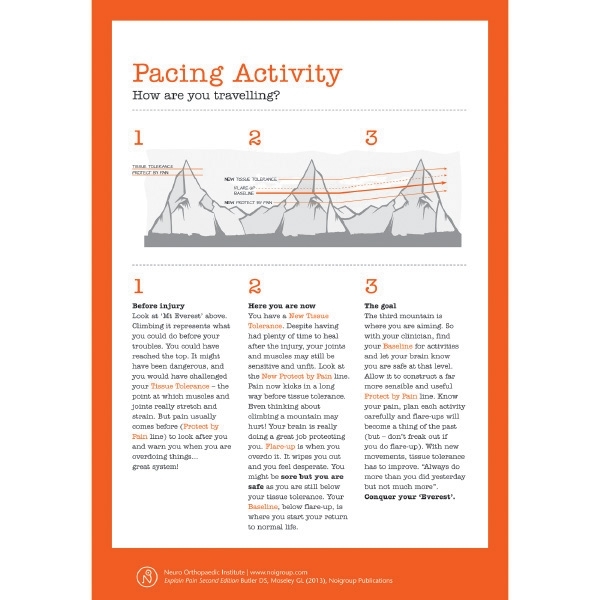 The Explain Pain Poster Collection is an educational tool that helps teach pain when used in conjunction with Butler and Moseley's Explain Pain book. 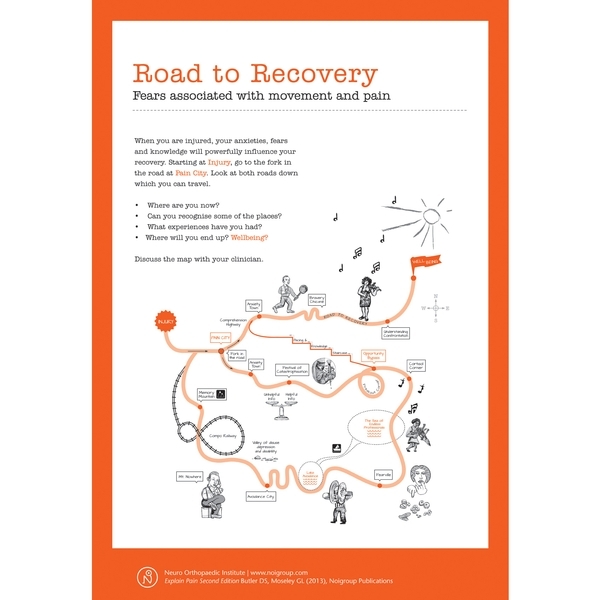 These materials are ideal for everyday clinical use and will help pain sufferers make informed choices on their road to recovery. 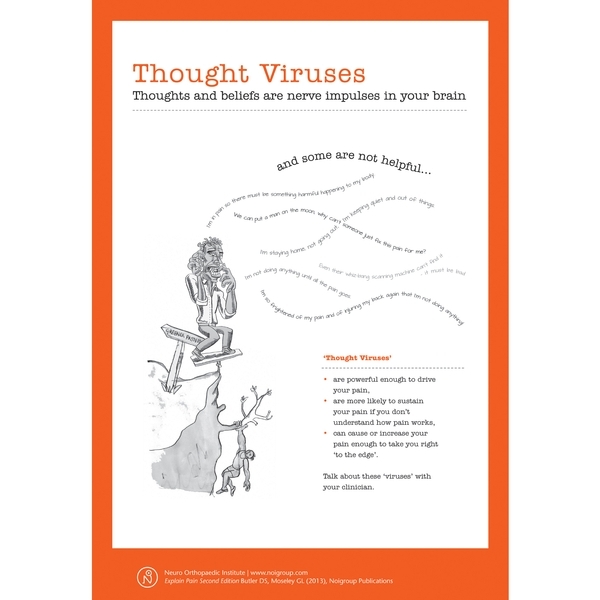 The four titles included are Take Control, Pacing Activity, Thought Viruses, Road to Recovery. The posters can be used at home, in a pain peer group setting, or as an everyday educational tool hanging in the waiting room of your clinic. Sold in sets of four plasti-coated 16"W x 24"H posters. 2nd edition features updated content and references.